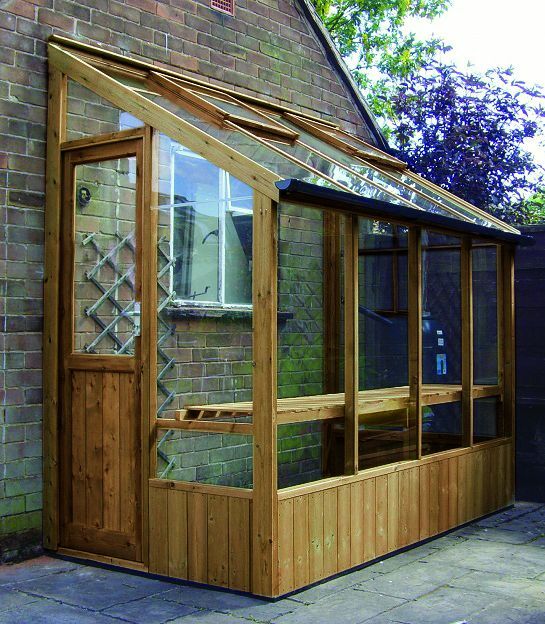 The Swallow Finch Lean to Greenhouse is a 4ft wide wooden lean-to making it ideal for a smaller space on the side or rear of your house or garage. Swallow Finch Lean to Greenhouses are made from Scandinavian ThermoWood®. This new high tech timber is specially heat treated up to 215 °C to remove excess moisture and resin, preventing warping and protecting from rotting. It has a single inward opening door with a mortise lock for security and a length of slatted staging as well as toughened safety glass and automatic roof vent openers. Installation is included in the price. Just order and then inside 4 weeks your new Swallow Finch Lean to will be delivered and erected in your garden ready to use.